Sibella Kraus’ sights are set on protecting the last seven-thousand-acre remnant of the ‘Valley of Heart’s Delight’ for open space and urban-edge agriculture. Known as the Santa Clara or Silicone Valley today, its 450 square miles of mild climate, well-drained fertile soils and artesian water once hosted the world’s largest tree fruit production region, delighting hearts with apricots and cherries. Some 98% of the Valley’s expanse now lies beneath San Jose’s pavement or sprouts Apples, the computer kind, on sprawling high-technology electronics research and manufacturing campuses. Lest you think Kraus’ notion of restoring its last few thousand unpaved acres to agrarian glory completely fanciful, first consider this remarkable woman’s track record of accomplishment in her San Francisco Bay Area’s local, organic and specialty crop food movements over three decades plus. Sibella and I graduated from UC Berkeley together in 1970, where she degreed in European Intellectual History. Nevertheless, she found herself foraging and cooking for Alice Waters’ famed Chez Panisse a decade later. Kraus’ creative and organizational talents were soon put to directing the Farm Restaurant Project and founding the Tasting of Summer Produce, an annual specialty crops spectacle for California farmers, chefs and media which she directed for five of its eight-year run. Leaving kitchen chores to others, Sibella hopped across the Bay to manage a Specialty & Organic division for San Francisco’s Greenleaf Produce Co. in 1984. 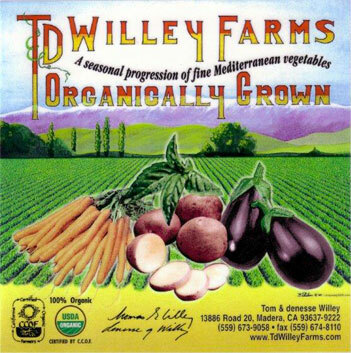 In that pioneering role, she became T&D Willey Farms first wholesale produce purchaser, encouraging us to cultivate many new and unusual crops. In 1992, Kraus assumed Executive Directorship of a brilliant effort to establish a permanent public waterfront marketplace in San Francisco, the success of which is manifest in today’s renowned Ferry Plaza Farmers’ Market and Ferry Building Marketplace. 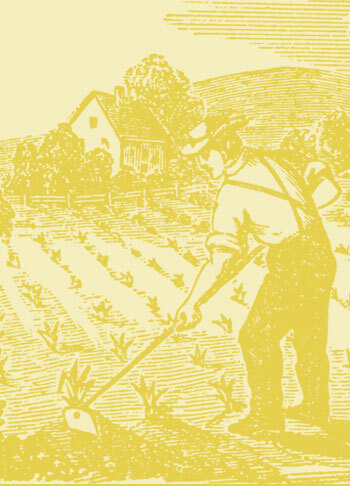 Over that decade, our consummate produce educator penned weekly ‘In Season’ columns for San Francisco’s Chronicle, plus a farm profile series and yet another on agricultural issues in that same newspaper. In the mold of San Francisco’s late, legendary “Green Grocer” Joe Carcione, Kraus produced and delivered bi-weekly seasonal produce commentaries on KRON-TV for a half-dozen years. Since the new millennium, Sibella Kraus serves as President and Founder of Sustainable Agriculture Education (SAGE), which “cultivates urban-edge places where farming and local food culture can thrive and be celebrated”. SAGE’s signature accomplishment, to date, is Sunol AgPark, whose 20 East Bay acres have hosted a dozen farming entrepreneurs since 2006. Leveraging that modest feat onto a vast canvas of Santa Clara Valley’s rapidly disappearing open space is one tall order. With a little help from her friends, Sibella might just pull it off.